JYJ’s Kim Jae Joong recently talked about obsessed fans. On November 8, Kim attended a press preview event for the movie Jackal Is Coming and gave his thoughts about the movie to reporters. When Kim was asked if he has ever received death threats from obsessed fans like the movie, he said, “There are many fans like that. I think every star has those kinds of fans.” But he didn’t say anything else. The movie is about a legendary killer named Bong Min Jung and an arrogant top star named Choi Hyun. Bae Hyung Joon directed the movie and Oh Dal Soo, Han Sang Jin, and Kim Sung Ryeong appeared on the movie. It will be released on November 15. 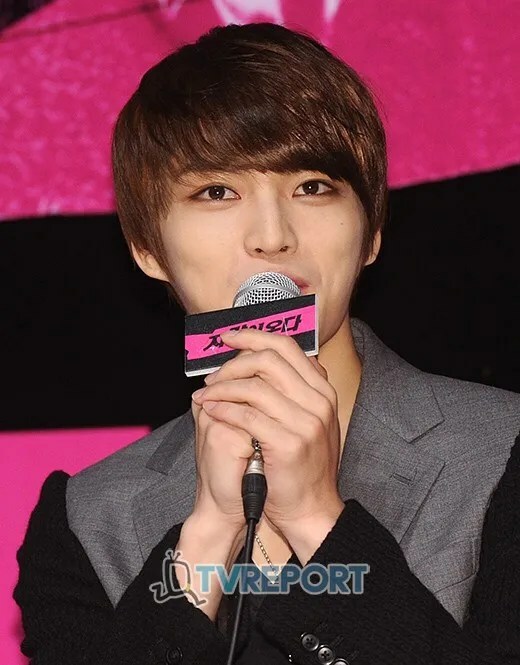 JYJ′s Kim Jae Joong was asked at the press roundtable for The Jackal is Coming whether he had such life-threatening sasaeng (stalker) fans like those that appear in the film. The press preview and roundtable for The Jackal is Coming was held on November 8 in Seoul. The director and actors Kim Jae Joong, Song Ji Hyo, Oh Dal Su and Han Sang Jin were present. In the film, Kim Jae Joong appears as the biggest hallyu star in the country, Choi Hyun. He has groups of fans follow him around everywhere, and in one scene, is even almost killed by them. He is brought to talk to a psychiatrist because he suffers so much from his overzelous fans. The Jackal is Coming is about how a legendary female killer kidnaps the country′s biggest top star. It premieres on November 15.